Wild South staff and three dedicated citizen scientists arrived at the surprisingly crowded trailhead just off I-26 for the Appalachian Trail at 8:30. 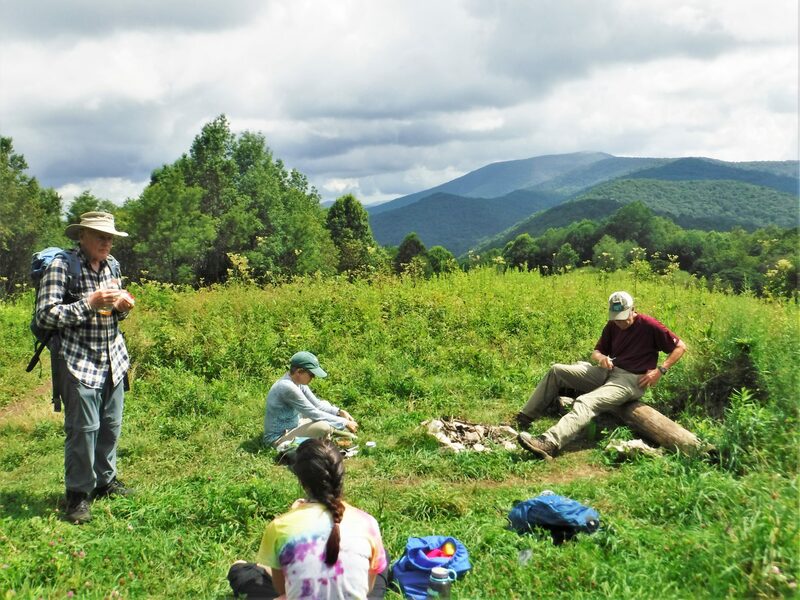 We were all eager to get onto the trail and search for the elusive Rusty Patched Bumble Bee at a site that is the pinnacle of pollinator habitat. 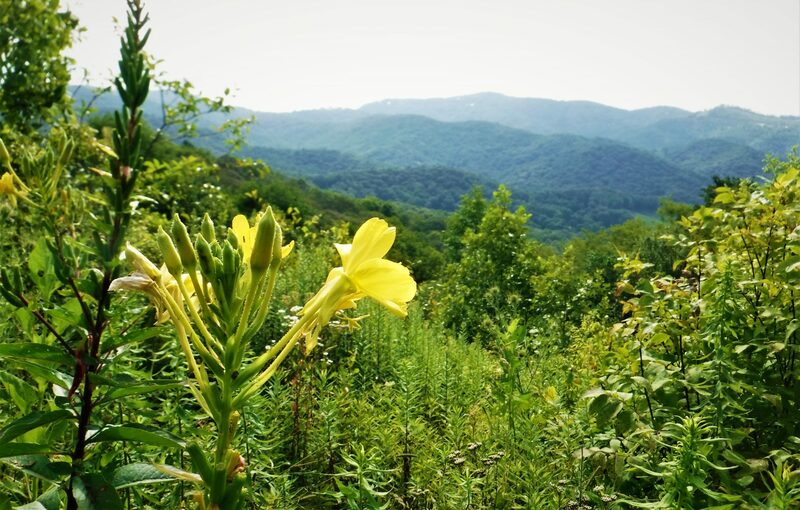 Sam’s Gap is home to a wide range of flowering plants with too many species to name here, including various milkweeds, members of the nightshade family, flowering tree species such as elderberries, joe-pye weeds, and a healthy dose of goldenrod, just to name a few. After a steep 1.6 mile hike through a luscious rich cove forest, we emerged sweaty and panting at our target – a six acre patch of wildflowers packed with bumble bees and butterflies. The sun was out and the flowers were buzzing with activity, but there was one flower that stood out, physically (it was literally taller than all the others) and by the sheer number of pollinators waiting in line to get a taste of the sweet, sweet nectar. These flowers were in the genus Agastache or “Giant Hyssops” (which one is easier to pronounce?? I can’t decide!). These flowers are noted internationally as desirable cultivars and it seems they’re mighty desirable to the bumble bees as well. Like our last site, Beauty Spot Bald, Sam’s Gap is maintained by occasional mowing as a way to keep the trees from encroaching on the pollinator habitat, but we have noticed that this site has much more plant diversity than Beauty Spot Bald and we suspect that is a result of different management practices. 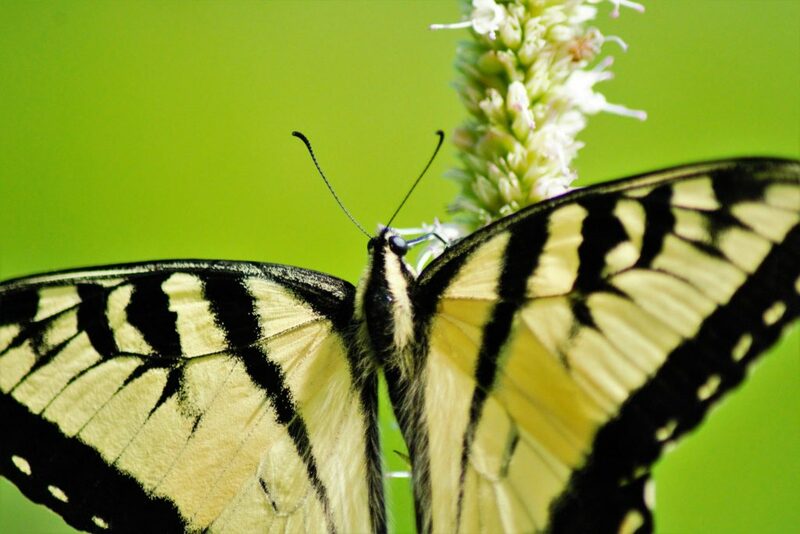 Of course, at this point we’re only speculating, but we intend to have discussions about pollinator habitat management with the forest service about their management strategies for these sites. 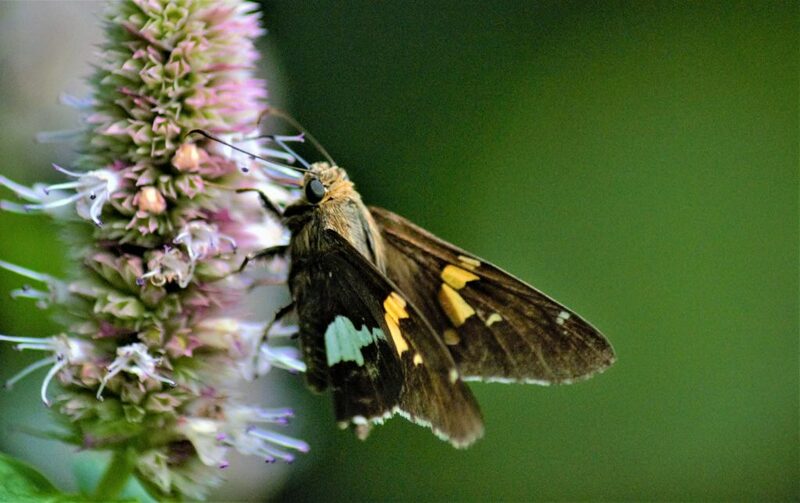 Just know, that we’re working to find ways to make sure pollinator habitat is responsibly managed on our public lands. Around mid-day when the sun was getting hot and our necks were turning red, we grouped up and talked about the species we found. 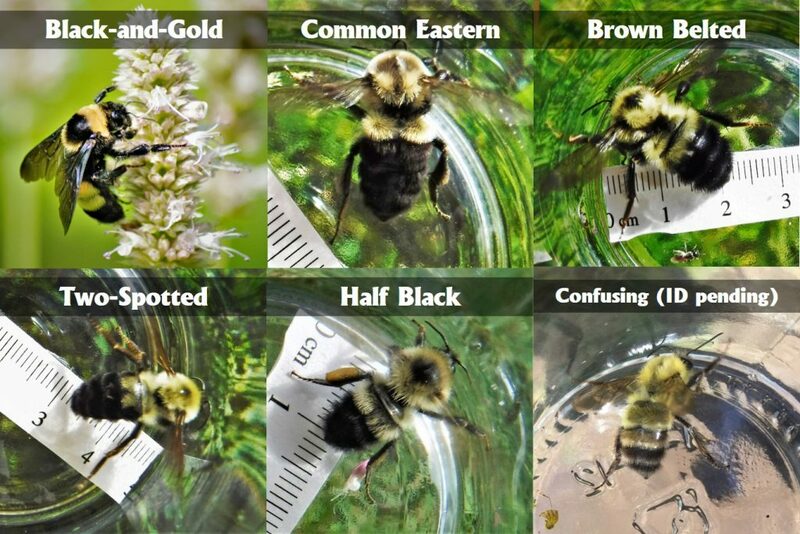 Although, we didn’t find a Rusty Patched, we did find 6 different species of Bumble Bee: Bombus auricomus (Black-and-Gold), Bombus bimaculatus (Two-spotted), Bombus griseocollis (Brown belted), Bombus impatiens (Common Eastern), Bombus perplexus (Confusing, ID pending), and Bombus vagans (Half-Black) – we’ll be chacking back here at least one more time this season during the peak time for male Rusty Patched Bumble Bees!